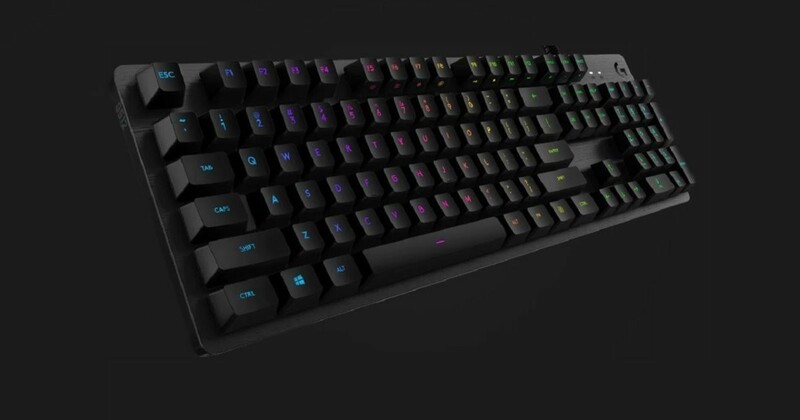 Logitech announced the upcoming G512 keyboard that features RGB lighting and clicky GX Blue switches. This is the first keyboard to feature the new switches, in most of the past mechanical keyboards Logitech has used the Romer-G tactile and linear switches. The G512 is a simple keyboard and it doesn't sport any additional macro buttons. It offers full RGB lighting controlled via the Lightsync software and a tiny onboard storage that you can use to save your profiles. Furthermore the G512 sports USB passthrough that is always useful for USB dongle or USB thumbkey. The key feature of the G512 are the new GX Blue switches. These switches should be very clicky and similar to other clicky switches. Logitech offers the G512 with Romer-G tactile, Romer-G linear and GX Blue switches. According to Logitech, the G512 with GX Blue switches will be available in Asia Pacific during this month with an MSRP of $100. At the moment it isn't clear when we will see this keyboard in Europe.